You can get cheap LEGO from Argos, Amazon, Smyths Toy Store, Base, Simply Games and more. Our bargain hunting parents are always on the search for LEGO discounts. This includes LEGO minifigures, construction kits, and video games. LEGO is a classic toy for kids which never ceases to bring joy. You should also take a look on ebay.co.uk for second hand LEGO as there are always buckets for sale for cheap. You may also be interested in our Star Wars deals and cheap Harry Potter toys. LEGO Classic Medium Creative Brick Box Building Set - 10696 - 34% Off! Lego blocks have been keeping us entertained for decades and the good news is there's plenty of deals to be had on the popular Danish building blocks. Get amazing savings on your favourite building blocks, from our list of Lego deals, sale clearance, special offers and promotional offers. Our massive community of bargain hunters post and share all the best offers from some of the top toy shops and stockists in the UK. Here you'll find a wide range of series from Lego. The history of LEGO dates back to nearly 100 years, starting with the creation of small wooden playthings during the early 20th century by the company’s founding father who was a master carpenter and joiner. Manufacturing of plastic Lego bricks began in Denmark in 1947, but since has grown to include factories throughout the world. The world-famous brick didn’t make an appearance until a little later on in the 50’s. Since then, they’ve brought various toys, play experiences and teaching materials to over 130 countries. Today, a global subculture has developed. Supporting movies, games, competitions, and several Legoland amusement parks have been developed under the brand. As of July 2015, 600 billion parts had been produced. Their motto, det bedste er ikke for godt which means roughly "only the best is the best", which is still used today, was created by Ole Kirk to encourage his employees never to skimp on quality, a value he believed in strongly. To help you choose which Lego set will be most appropriate for your kids, they come in various age which ranges from 0-2, 3+, all the way up to 12+. But keep in mind that this is not a strict rule. These toys are suitable for all ages and if you think your 9 year old kid would love the challenge of a more complex 12+ set then this could be the perfect set for them. The 12+ sets tend to have more extras included such as lights, moving parts and all sorts of electronics. 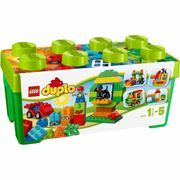 The sets designed for much younger children are from Lego’s sub-brand, Duplo and have much larger bricks, making them far safer. They are also designed in a cartoon style making them more appealing to a younger audience. For many people the joy of Lego comes from being creative and making entire cities, vehicles, houses and more from scratch. For people like this, the Lego boxes containing the basic bricks can make the perfect present. The fundamental brick sets come in either mixed colours or sets all in the same colour and are perfect for people new to Lego who want to start exploring what they can do, or Lego experts who want to expand their collection. Sheaden and Jamie team up to unbox and build the awesome new Heavy Scout Walker from the new Star Wars: The Last Jedi movie. If you’re a fan of Lord of the Rings, The Hobbit, Marvel and the very popular Star Wars, then this is your lucky day as Lego also comes in branded themes. Fans like you can recreate scenes from famous books, movies and games as well as create their own alternative stories. These themes are extremely popular with fans of the associated brands, so if you or you know someone who has a keen interest in any of the themed Lego this could be the perfect gift. This VIP loyalty card offer points equivalent to 5% off on all purchases through Lego’s online shop and in all their brand stores. 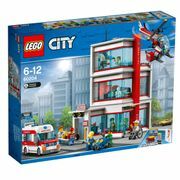 Other benefits include the opportunity to purchase exclusive sets before anyone else and VIPs enjoy access to special Lego promotional offers and gifts throughout the year. You can join online, via phone or on any Lego stores nearest you. If you’re living in the UK and you’re holding on to those LEGO purchases over at shop.LEGO.com, then today might be the best time to hit that add Checkout button. Picking up Lego as a hobby is not cheap. Fortunately, there are a few ways on hot to get sets and parts at a cheaper price. Keep in mind that there are themes that are cheaper than others, while licensed sets such as Star Wars tend to be pricier per part that the brand’s own themes. Also, these branded themes tend not to be discounted that much. Lego sets labeled as exclusive are hard to find with discounts. 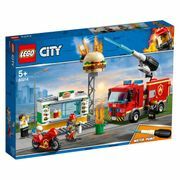 If you want to stay up to date with offers online, Brickset.com have a great range of tools which automatically post the latest Lego offers from Amazon as well as a detailed list of discounts from a lot of UK retailers. You can also compare prices at Pricespy from different online retailers. 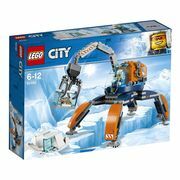 Smyths Toys Superstores often have Lego promotional offers on ranges both online and in-store. While you can find Lego sale clearance in the UK on Argos as well as Lego 3 for 2. For a decent range of the latest sets and a price match service, you can checkout John Lewis. hey also sell on LEGO and offer a click-and-collect service – handy if you live near a store and want a specific set! You can also get good finds on Lego clearance stores for end-of-range sets. Your local Tesco, Asda and Sainsbury’s stores is a great place to check on a regular basis. And you can even use your points or rewards cards when purchasing in these stores. Now if you believe in the good old saying patience is a virtue, then wait until long after sets are initially released, there’s a good chance that you’ll get them cheaper than their retail price in most cases. If there are particular sets you want, keep a lookout on eBay and you can pick up the occasional bargain. Just beware that bulk Lego bricks sold on eBay are often not 100% the real deal despite any claims they are. There may well be a mix of Megablocks and other non-Lego parts mixed in for good measure. From Star Wars to DC Comics, Marvel and even Frozen, there's likely to be a set to suit anyone’s tastes and hobbies, and for five days, many of these sets are available directly from Lego with at least 20% off in what is being called Lego's Brick Friday and Cyber Monday event. Lego UK has been a player in the Black Friday sales for the past few years, offering big discounts and their online shop over at the UK is offering some hefty discounts on some of their pricier sets in stock. And when we say pricy we mean, obviously expensive. The Lego Shop's 'Brick Friday' deals offer great savings, new sets launched, daily discounts, and a free gift.